Honeywell recently spun-off its residential business, Resideo Technologies. Institutional selling has triggered the stock to fall ~30% since it began trading. There is fair upside in the stock due to its current valuation, however, competitive landscape and growth potential analysis outline the risks. In October 2018, Honeywell (HON) spun-off its residential technology division Resideo Technologies (REZI). Since beginning trading, it has sold off 30% due to institutional selling and significant environment-related liabilities as part of the spin-off agreement. Post spin-off, Resideo Technologies has a licensing agreement to use Honeywell Home brand for 40 years. Resideo's revenue comes from the following sources. Resideo Technologies currently has $5 billion in sales in a $37 billion market (Company Presentation). This represents a 13.5% market share. If insiders increase their stake in a company, the act may be taken as a sign of confidence in anticipated growth. This is particularly important for spin-offs since the outside world has limited knowledge about the strategy and vision of the leadership for the new entity. We can see increased buying by insiders in Resideo Technologies. The total value of stock buying since 2005 is $1,161,874. The total value of stock sales since 2005 is $438. The total value of stock option exercises since 2005 is $1,630,098. 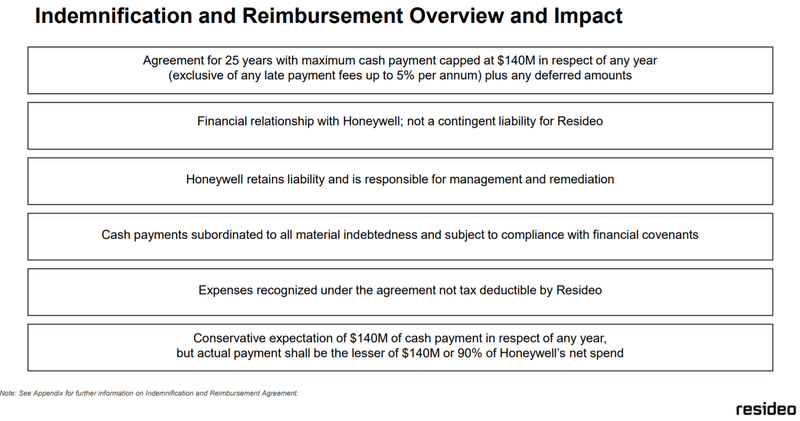 Honeywell and Resideo Technologies two very different companies in the eye of institutions. While the former is an established large-cap dividend play, the spun-off entity is a mid-cap growth emerging technology opportunity. Honeywell distributed one share of Resideo Technologies common stock for every six shares of Honeywell common stock held as of 5:00 p.m. Eastern Time on October 16, 2018, the record date for the distribution. Several institutional investors would have received Resideo shares as well. While Resideo Technologies presents unique opportunities and is a strong player in the residential IoT space, it perhaps did not make sense in their investment portfolio for several financial institutions. Below is a sample set of ETF’s which hold Honeywell, but don’t have any place for Resideo Technologies in their portfolio. These institutions, among many others will therefore sell the Resideo Stock the moment it gets distributed to them. Due to a high selling pressure, the price of the stock has been driven low since the spin-off. Why is this being painted as a good thing? Businesses go through the M&A activity to focus better on select areas of their business, increase shareholder value among a variety of reasons. Spin-offs are not well understood due to the unpredictability in the weeks (months) following the separation. Large financial institutions selling their holdings in the spun-off entity drives the price of the stock further lower. This price fall has very little to do with the fundamentals of the company thereby providing a great opportunity for value investors. Resideo Technologies is currently trading at 1.6 times its book value. Based on 2018 EPS of 3.31, I am seeing a current P/E of 6.15 making it undervalued compared to the industry. 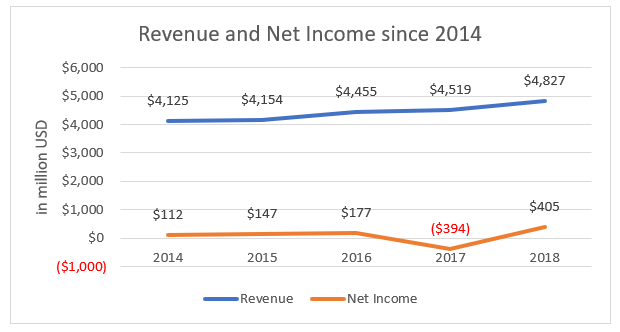 However, if I were to account for the indemnity payments of $140 million (details provided in the sections to follow), Net EBITDA will be $424 million. If Resideo were to trade at a 10x EBITDA ratio, then the approximate Enterprise Value will be $4,240 million. This target price of $24.72 presents a 22% upside. Resideo Technologies currently has ~$1.225 billion in debt making it approximately 2.6x EBITDA. The company’s Long term debt/Adjusted EBITDA target is ~2.0x which it plans to lower through strong free cash flow generation. There are several reasons described below due to which I feel Resideo Technologies may be unable to reduce its leverage quickly. As part of the spin-off agreements, Resideo Technologies is required to indemnify Honeywell in amounts equal to 90% of payments, which include amounts billed, with respect to certain environmental claims, remediation and, to the extent arising following the consummation of the Spin-Off, hazardous exposure or toxic tort claims, in each case including consequential damages in respect of specified properties contaminated through historical business operations, including the legal and other costs of defending and resolving such liabilities, less 90% of Honeywell’s net insurance receipts relating to such liabilities, and less 90% of the net proceeds received by Honeywell in connection. The good news is that these payments subject to a cap of $140M in respect of any year (exclusive of any late payment fees up to 5% per annum) plus any deferred amounts. However, this indemnity agreement is for a duration of 25 years, up to December 31, 2043, or 3rd consecutive year during which the annual indemnity payment obligations are less than $25M. During FY2018, this indemnity reimbursement was $616 million. Based on the estimates provided by Resideo Technologies, we can see that these indemnity payments continue to exist in the near term. These indemnity payments impacts the ability of Resideo to generate free cash flow. Moreover, these indemnity payments are not tax deductible. For purposes of valuation, it is only fair if we subtract $140 million from the EBITDA. This adds difficulty for the company to reduce leverage or increase shareholder value through share repurchase programs and / or issue dividends. Resideo faces tough competition from a large number of players in all the 4 segments. All players are riding the digital transformation train and seek to attract customers through interactive data, actionable insights, user-friendly mobile apps and cost effective subscription based pricing. Home security systems have been around for several years now. There are plethora of manufacturers, vendors and partners in this space. A McKinsey report shows that 75% of connected-home devices are purchased through service providers today, due to strong go-to-market access. The ability to cross-sell goods and services puts Comcast (CMCSA), Spectrum (CHTR) and several other ISP’s and Cable providers to compete in the home security space. Security solutions can only be targeted at a limited subset of consumers, specifically homeowners, as most of these products still do not offer a lot of value for consumers living in apartments. Air quality detection systems are relatively less known. However, the tiny segment of customers requiring this solution have a variety of options to choose from. 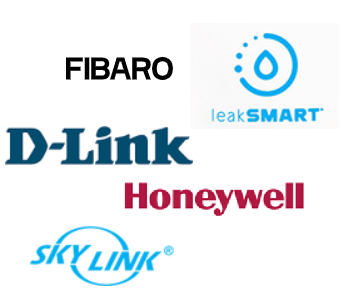 Smart water usage detection systems are also relatively less know. However, this segment also has many players trying to steal a portion of the pie. Residential IoT is an attractive segment with large penetration opportunity ahead. With the growing popularity of the technology, several unbranded options will also steal market share from these bigger names. The above listed competitors are merely discovered as ones providing similar products and solutions through major retailers in the US. Acquisitions can increase market share and top line, however, they will increase the CapEx / Debt and therefore any returns to the investors. Therefore, with such high competition I anticipate higher marketing expenses and lower profit margins for Resideo Technologies. Connected Thermostats, and other products combined are expected to grow with a five-year CAGR of 26.9%.. Thermostats, while popular in North America, will face more muted growth in the rest of the world as many countries do not employ the use of central HVAC systems and therefore do not require a dedicated thermostat. Currently, Resideo Technologies is a $5 billion seller in a $37 billion segment. The company predicts the 2023 market to be $42 billion. Due to the rising competition, I anticipate lower market share. Assuming Resideo Technologies retails the 13.5% market share in Residential IoT (this is a big assumption and is not likely to happen), we can expect $5.67 billion in sales in 2023. This represents a CAGR of 4.2% thereby putting Resideo Technologies among the group of slow growers. Prior to the spin-off, Resideo Technologies mentioned “Tuck-in acquisitions” as one of its capital allocation strategies. Recently, Resideo Technologies acquired Buoy Labs, a California based home automation company for under undisclosed terms. In order increase market share in the residential IoT space, I anticipate that Resideo Technologies needs to perform many more acquisitions in the near future. This hampers the ability of the company to reduce its leverage as well as return capital to shareholders in the form of dividends or share repurchase programs. 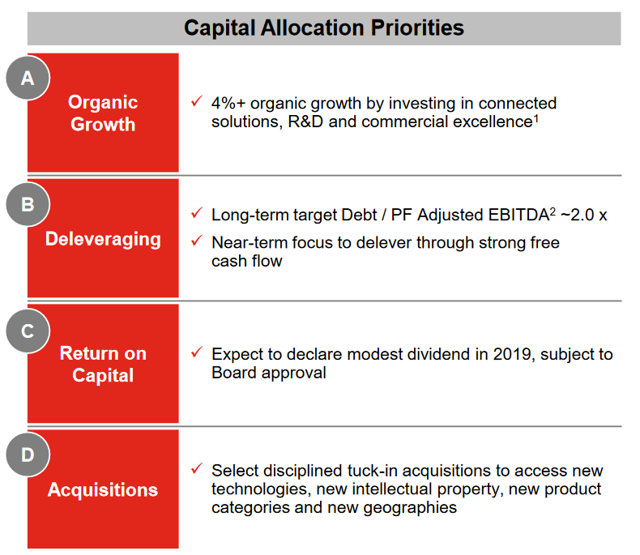 Leadership vision on capital allocation priorities prior to the spin-off seems conflicting. Resideo form 10-K makes the company’s position on cash dividends clear. 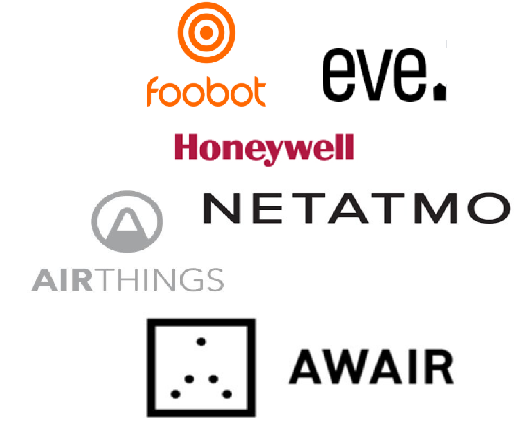 In order to increase their market share in residential IoT, acquisitions are necessary. With acquisitions in line of sight and indemnity payments weighing down Resideo’s ability to generate free cash flow, I have my doubts the promised deleveraging in the near term. Residential IoT devices gather large amounts of home and user data. Studies show that consumers have very low confidence in the security of their residential IoT appliances. This could add friction to the market penetration efforts for Resideo Technologies. Moreover, with increased occurrence of data breach among technology giants, and with increased regulatory focus on consumer data protection and privacy, there is a possibility of an imposition of higher standards by the government for IoT security. This may impact the amount of data that could be collected and used by Resideo’s devices. Moreover, it may also cause Resideo to spend more in the form of capital expenditure to adhere to the regulatory requirements. Spin-offs present unique opportunities for value investors. In the case of Resideo Technologies, I do see positives in the form of attractive valuation along with high insider buying. However, taking a look at the competitive market for residential IoT, I see no moat for Resideo in this space. Moreover, the indemnity agreements associated with the spin-off are weighing Resideo down in its ability to generate value for investors in the form of share repurchase or dividends. While the preliminary analysis points to ~22% upside, I am not convinced to recommend REZI at this time.